A building is designed with many considerations in mind, the foremost being its relationship to the site. In advance of the decisions we take with our clients about the building’s systems or envelope design, we first embrace strategies that capitalize on the opportunities of the site, the orientation of the building, and the program. We integrate sustainable practices as a core part of the solution, rather than applied as an afterthought. These considerations inspire decisions which contribute greatly to the performance of the building systems. Our track record of building in vastly different climates, from South America to New England, Jerusalem to Singapore, has allowed us to develop a robust proving ground to adapt and tune the underlying first principles of our work to the unique environmental conditions of every project. We seek to maximize a building’s efficiency and performance through the use of the latest analysis and simulation technologies. We are equally committed to the humanistic quality of the built environment and its impact on social interaction and well-being. We respond to the essence of place not only from a cultural standpoint, but also relative to how we build. Our buildings incorporate regionally sourced construction materials and building techniques to address environmental goals. This holistic view of sustainability lies at the intersection of environmental, cultural and humanistic values, and is the core of our approach to architecture and planning. 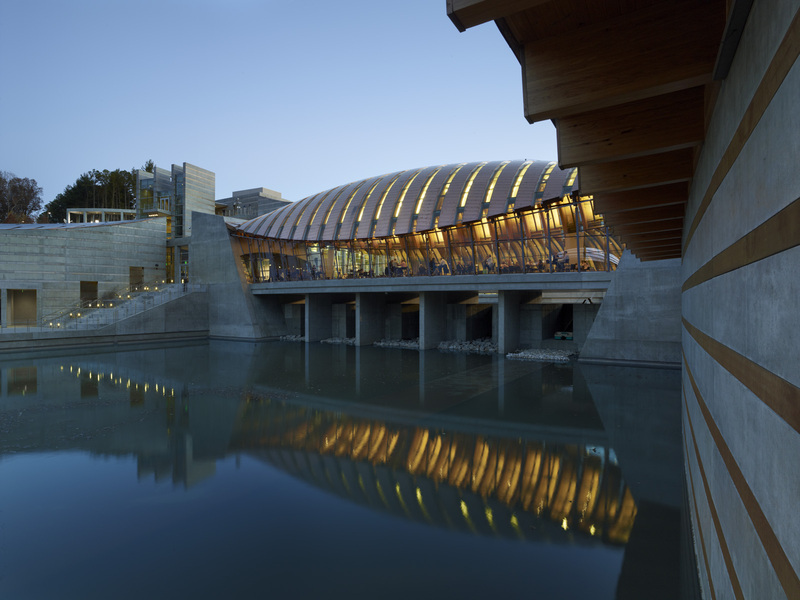 Our design for the Crystal Bridges Museum of American Art in Bentonville, Arkansas incorporates simple and local materials: laminated Arkansas pine and inlaid concrete walls. It is a highly-sustainable structure, sensitive to the issues of resources and conservation, but also bringing together technology and the environment to rethink classic notions of sustainability. 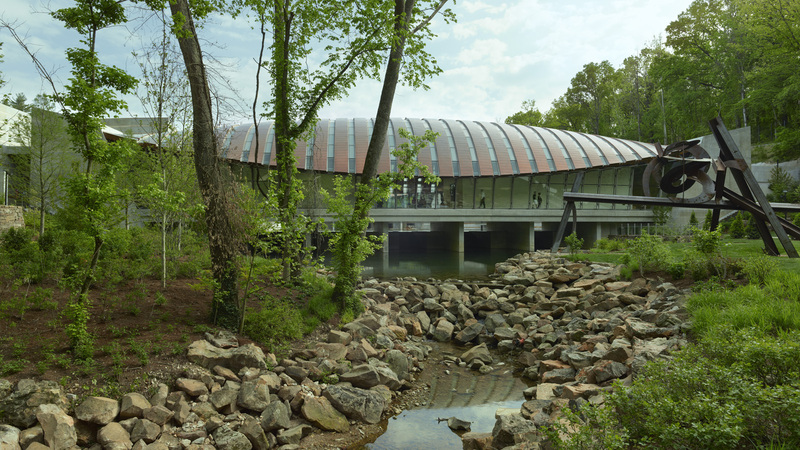 The building is integrated into the ecosystem and works with the natural rhythms of the region, allowing the annual high waters to move through and activate the museum so that art and nature are experienced together. The museum is designed as a series of interconnected, pavilion-like structures, two of which bridge the spring and act as dams to create ponds. The ponds are fed by the spring, but they are designed to accommodate the 100-year flood, which, as it swells through the valleys, will flow under the buildings without disturbing them. Every measure has been taken to allow the patrons to enjoy art in unison with nature. 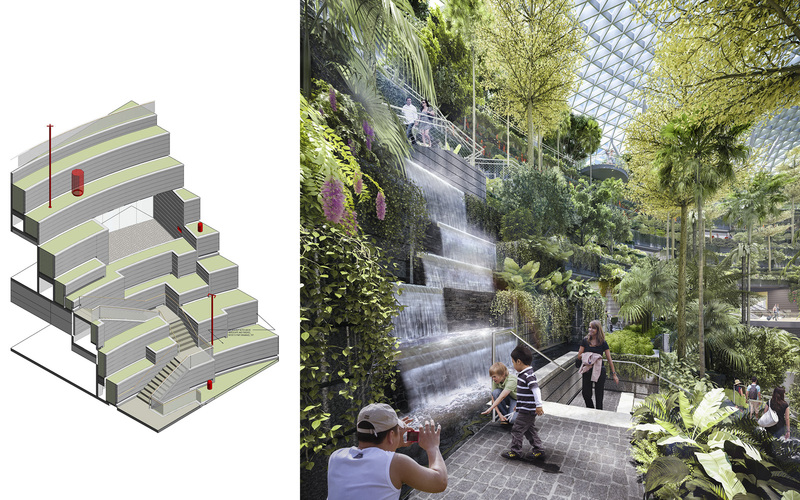 Open inter-passages provide dramatic views of the surrounding parks and reconnect with nature as one moves from one gallery to the other, or one pavilions to the next. The balance of the undisturbed site, filled with trails and mature woods, is planned as a public park. 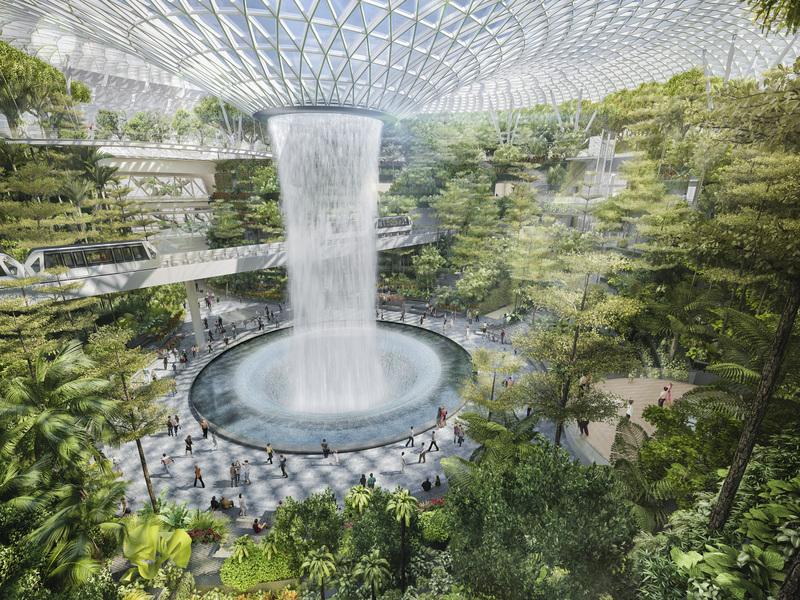 At Jewel Changi Airport we imagined a public garden to unify all the Terminals called the 'Forest Valley.' The Forest Valley is a 30 meter tall terraced landscape feature which includes over 300 species of trees and other feature plantings. At its center is a large interior water fall called the Rain Vortex. The team worked with specialist collaborators to design building systems balancing the environment for the planting while also keeping it cool and comfortable for everyone who visits. The building systems are fully integrated into the terracing landscape, and tuned to operate as efficiently as possible. A low energy displacement cooling system was designed and hidden out of view, cooling only the inhabited zones of the building. The various planting species were positioned in the valley to optimize their location related to required daylighting levels they demand. 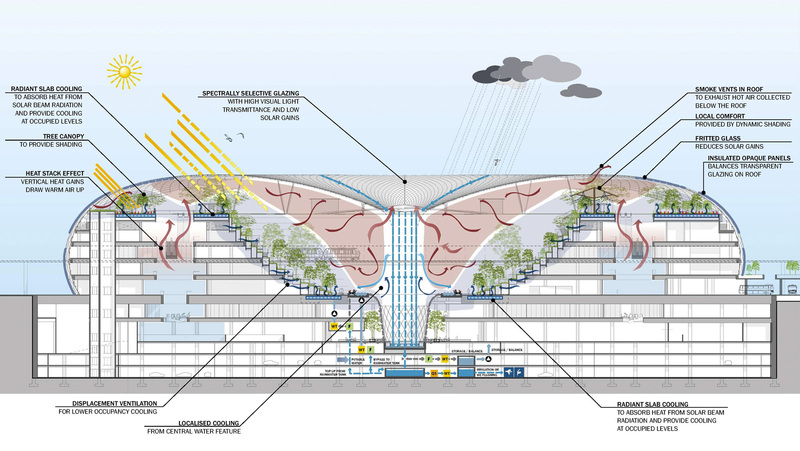 The centerpiece waterfall was analyzed and shaped so as to control entrained air drafts further optimizing the cooling system of the building. The Rain Vortex itself collects rain water and re-uses it as part of a dramatic display show by night.